If I could give this shop 10 stars I would! From the people you meet in the office to the final product I am amazed! I took my car in for a dent in the side door. When I picked up my car the whole interior was cleaned and the exterior was so clean I though I had a new car! The rims were sparkling and the once foggy headlamps were clear and looked brand new!! WOW A++++++ Really Amazing!! These are really skilled folks and equally pleasant to deal with. I highly recommend Mid City for any auto body repair. See Tom or Chip. I am so happy with the work they did on my 2004 F350 at such a reasonable price . People constantly asked me if my truck is new.. Awesome people. The folks in the office including the dog are so friendly and nice. I stopped by yesterday with a slight ding in my car from scraping the car on the garage door. Upon inspection the gentleman asked me to wait a minute and he went back into the shop only to return a minute later with rags and potents. In less than 5 minutes all the garage paint was removed from the car, it was repolished and he adjusted the slight dent until it’s hardly noticeable. When I tried to pay him he said he allowed himself 1 good deed a day and I was it for the day. Believe me I’ll spread the word for everyone to use Mid Auto in Newark. Thanks so very much for making my day!! I used Mid City because they are a preferred repair shop with my car insurance and they have good reviews on Angie's List. I was not disappointed. They had a very quick estimate, kept me updated thought the repair process, were very friendly and polite, and did excellent work on my car. It looked brand new when I got it back- they had cleaned the inside and outside. Hopefully I don't need body work again in the future, but if I do I will go to Mid City. This place is great. I have been using them for all types of services not just body work. There are many things that go wrong in your vehicle, door locks don't work right, headlights are scratched and you cant see, seat belt don't work right. They do it all, and it is a great resource. Competitive prices and the service is exceptional. These guys did an amazing job fixing the damage from a neighborhood egging (they even fixed a large scratch on the same door which was not part of the claim). They cleaned my car inside and out and I am beyond impressed with the service I received. 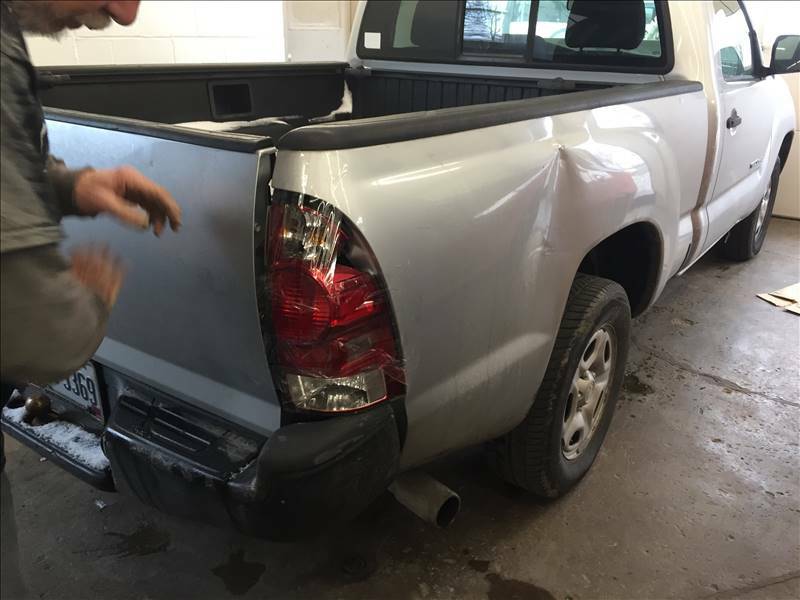 They were super professional and clearly very skilled in body work repair!